I love getting lost in museums, among immortal paintings, flawless sculptures and those archaic tools that have contributed in “making” human history. Shanghai Museum is one of the best places to visit in Shanghai if you want to journey across China‘s history, culture, art, and architecture. As one of the main museums in Shanghai, it’s pretty big. 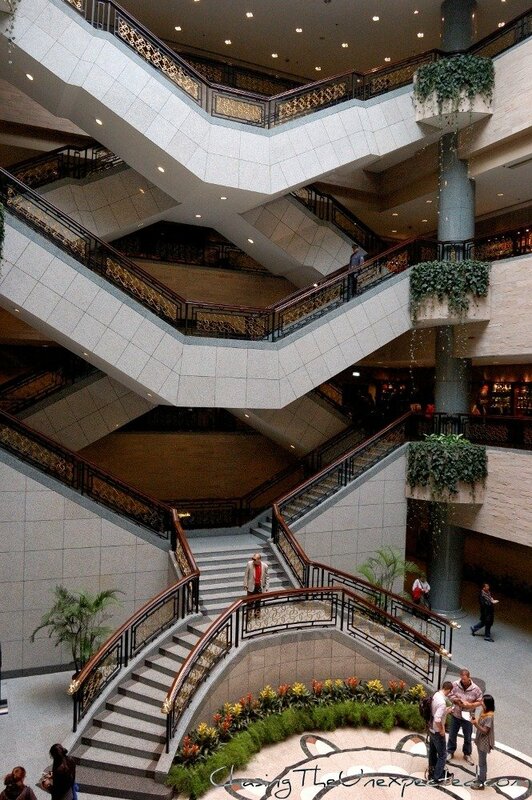 Located in central People’s Square, it consists of four floors of ancient collections and exhibitions, thoughtfully divided into themed pavilions. 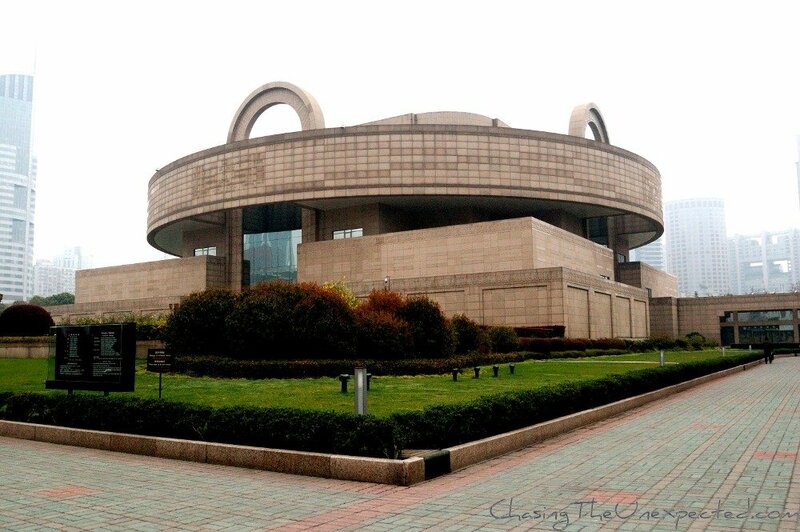 Shanghai Museum gives you the full idea of how excellent Chinese organization skills are, in every aspect of daily life. Being construction, art, transport, their attention to the tiniest detail is always visible. 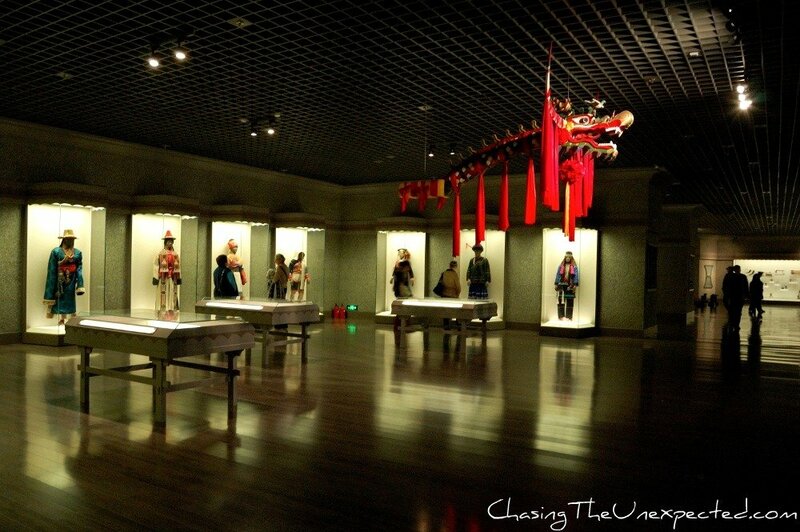 Grab your Shanghai map and start your journey into Chinese culture and history floor by floor in Shanghai Museum. Today China consists of 56 ethnic groups, being the Han (汉) the largest one. Although they all keep their own mores and traditions, they also give their precious contribution to enriching Chinese culture. The first pavilion perfectly symbolizes the complexity of today’s Chinese society, the display of costumes, tools, masks, embroideries of the minority ethnic groups populating the mainland, from the Tibetan to the Manchurian, to the Uyghur. A burst of colors and shapes that made it for a great start. 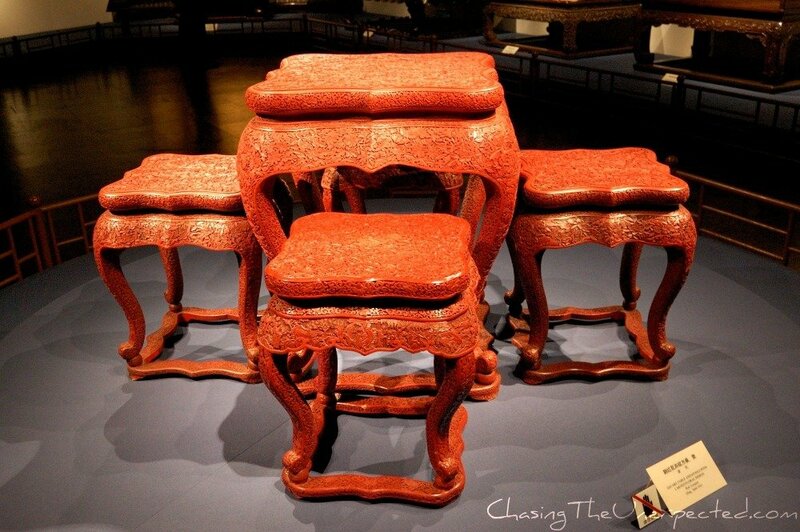 After leaving the colors of Chinese minority groups, get into the country’s finest art, and start exploring the exhibition of elaborate pieces of furniture belonging to Qing and Ming dynasties that show how the habits of kneeling or sitting crossed-legs have changed throughout the centuries. In general, as displayed in the museum, the Ming furniture was of simple and elegant structure, while the Qing pieces are characterized by elaborate carving and inlaid decorations. From the detailed works of ancient furniture, go into the Jade Gallery displaying jewelry and any sort of objects made of the precious stone that is China’s national pride, available in different colors and shades, from green to white. Close to the jade exhibition, there is the pavilion devoted to currencies. Whether it’s of your interest or not, it’s a very fascinating pavilion. You will find yourself immersed in a captivating journey through the different coins and money used in China and all along the Silk Road. After having carefully delved into everything the fourth floor had to offer, motion to the third one. Here I personally got lost visiting two pavilions, first the one devoted to calligraphy, then Chinese Painting Gallery. Since I had been studying Mandarin, those little characters that constitute the framework of the written language have been proving the more and more challenging. In the museum, I wandered through a fine selection of traditional and simplified characters written with the typical brush used in ancient times. Beginning with inscriptions on oracle bronzes, getting on to bamboo slips and stone steles, this fascinating exhibition displays some 70 masterpieces of traditional Chinese writing. Staying on the same floor, don’t miss the Chinese Painting Gallery. It’s an exhibition displaying drawing in different styles like figure, landscape, flower and bird painting. You will see also the traditional Dan Qing, that literally means the mineral colors of cinnabar and azurite used as pigments, and masterpieces from Yuan, Qing and Ming dynasties to the Yangzhou School. This was an important commercial port during Qing dynasty where a group of painters made their living out of their art. After the painting gallery, I headed to the second floor. Here I dived headfirst in the elegant collection of ancient ceramics, finely decorated with traditional flower styles and dragons. China is famous all over the world for its ceramics so, although I was already exhausted, I couldn’t miss out on those beautiful pots, bowls, tools dating back 8000 years nonetheless. From the Neolithic Age to the late Qing dynasty, the exhibition shows some 500 pieces that accompany the visitor along the long and rich Chinese history. I spent a whole afternoon musing around such east Asian masterpieces, but I haven’t seen it all, which makes it for the perfect excuse to go back and visit what I missed out the first time. Un mois suffira pour voir toutes les merveilles que tu décris? Pourquoi ce magnifique musée m’a échappé pendant le mois passé à Shangai? On n’a pas eu le temps, la prochaine fois! 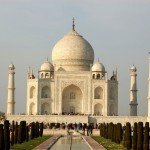 Amo i musei e sicuramente al prossimo viaggio a Shangai non me lo perderò! 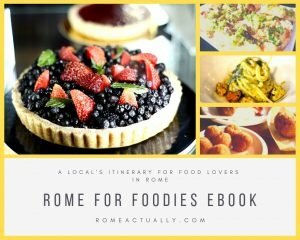 Da quanto ho letto e dalle foto penso sia una visita molto interessante e istruttiva. Aspetto con ansia altri posti da mettere nella lista delle cose da vedere! Altri posti verranno presto nei prossimi articoli! Visiting China has always been a dream of mine — thanks for sharing your Shanghai experience! I really enjoyed the Shanghai Museum. This brings back great memories of a lovely afternoon spent there last summer. True, I liked it more than I expected I would! How interesting! I can see why you would need to stay longer than 6 months in China, with the complexity of its language and culture and the size of the country. Looks like a very interesting and diverse museum, and the building itself is cool, too. Thinking of visiting Shanghai this autumn with my daughter (who is originally Chinese), and this looks like an interesting museum. Do you think it would be interesting for a 10-year-old? Did they have any kid-friendly sections or activities? Hi Sophie, I honestly don’t remember I have seen any activity or section for kids, maybe I just didn’t notice, but I thinking about it I wouldn’t define it kid-friendly like for example London’s museum of Science that has a lot of activities for children in every department. However, I’d highly recommend you go to Shanghai’s museum, it’s one of the highlights of the city and rightfully so. 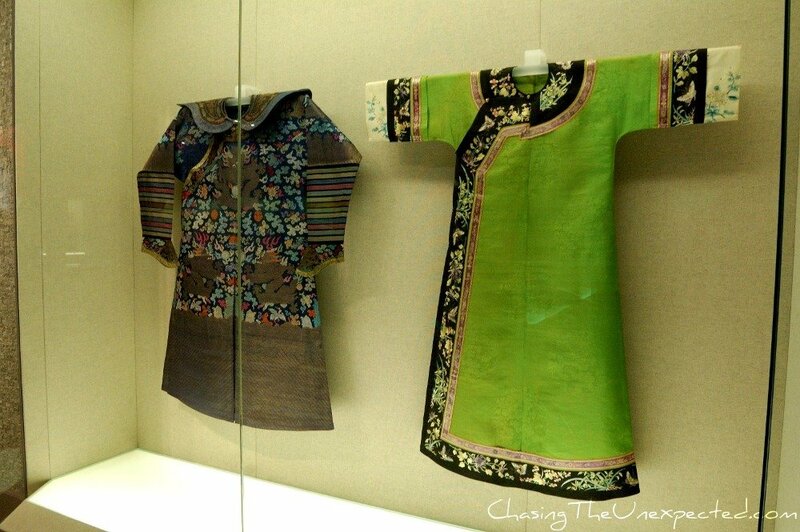 It’s truly enlightening when it comes to Chinese art, history and style, both ancient and modern. It’s big, and if your daughter gets bored you can always divide it in two or three sessions and explore it little by little, entrance is free of charge. For sure you won’t regret visiting it. Have a happy trip in Shanghai, unfortunately I won’t be here anymore as I’m leaving on the 24th, but I’ll be curious to read your impressions! 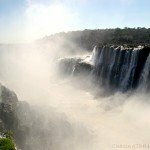 Would it be possible for us to use this article for our blog? We will fully acknowledge you as the author. Hi Theresa, sure you can!